Anipal Photo Hunt #7: Hey! That's Not Me! today my mom did check the mail and she laughed! why did she laugh? because there were two things in the mailbox and neither of them were for her. my Girl did get something and i did get something. i got this wonderful gift from my shiba friend in california, yuki. 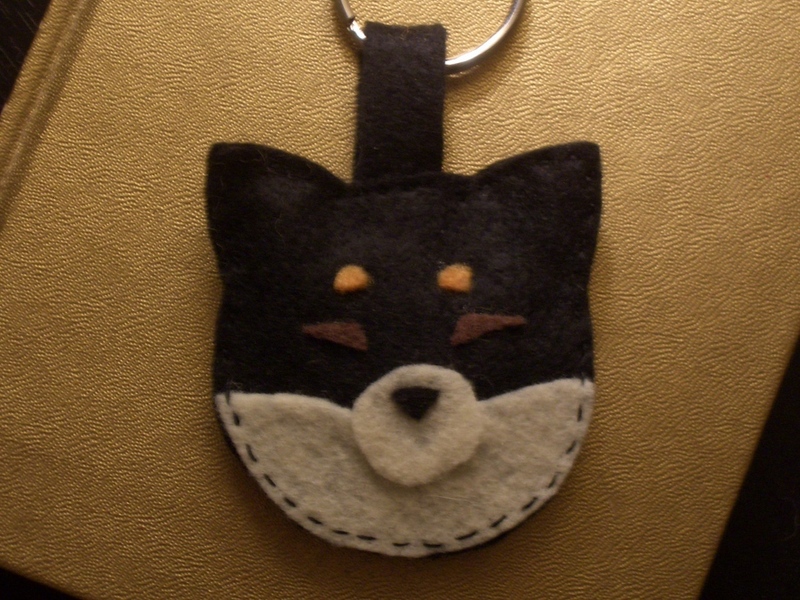 hers mom made this felt keyring and it looks JUST LIKE ME. my twitter furriend @cokiethecat haz this thing called the anipal photo hunt where anipals with bloggys post pics in a different theme each week. this week the theme is “hey, that’s not me!” when cokie saw the photos of my gift from yuki, he said i should post it in the photo hunt, so that iz what i haz done. Are you SURE that’s not you?? Cause that really looks like you… You’d better be sure your mom doesn’t take it out for walks instead of you! she would not do that!!! It even has the little brown spots over the eyes like you Snick!